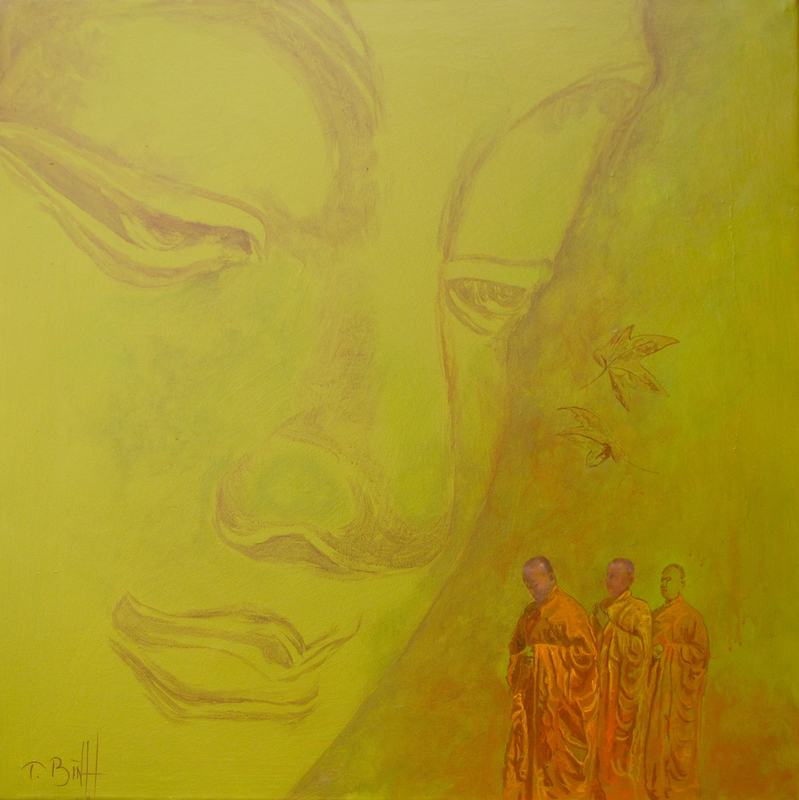 In Asian art, particularly in Buddhist art, yellow symbolizes renunciation of the material world. 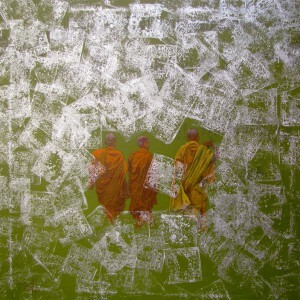 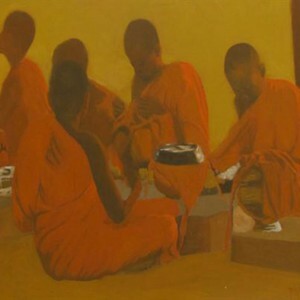 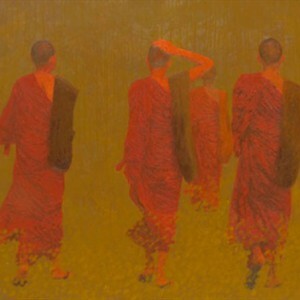 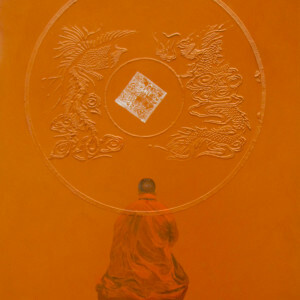 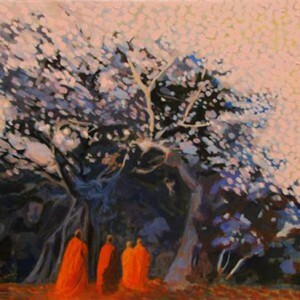 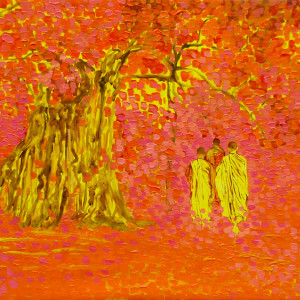 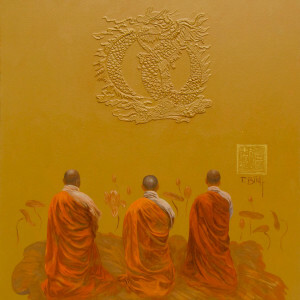 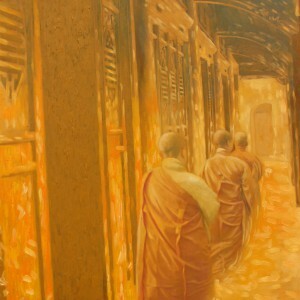 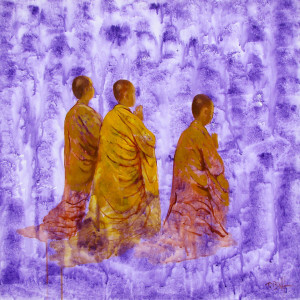 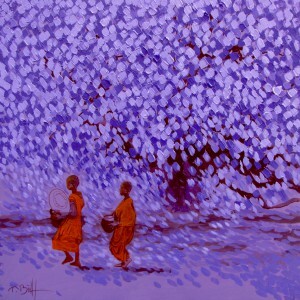 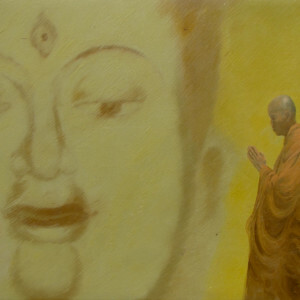 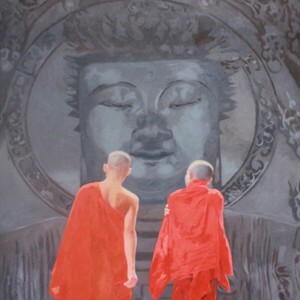 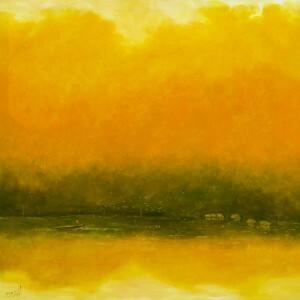 Not surprisingly, it has become the dominant color on this canvas by Vu Thai Binh, who was deeply inspired by Buddhism. 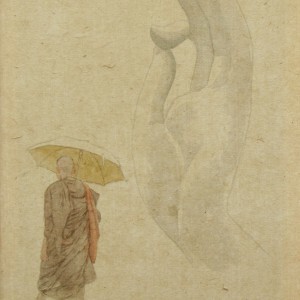 His frame fills us with calmness and brings us to the desired state of inner silence and peace.